Shoes, shoes, shoes... Every woman loves shoes, right? The perfect pair of shoes can transform an everyday outfit into something special and a pair of heels is great for giving you a bit of a confidence boost! I love these Clarks brogues. 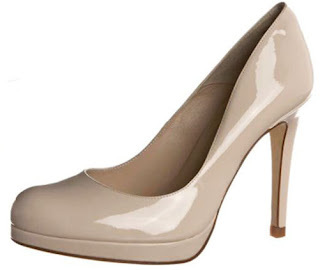 They’re sturdy yet stylish and look great teamed with a dress or ankle grazing jeans. 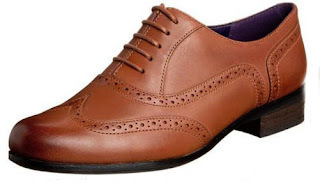 No longer just for guys, women’s brogues are trending so make sure you own a pair this season. 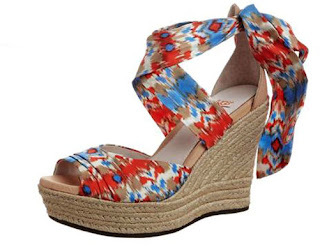 My absolute favourite has to be this gorgeous pair of wedges from UGG Australia. I thought the brand just made winter boots but they’ve proved me wrong with these wedges, which are just perfect for some comfy summer time style. Steal Princess Kate’s style with these classic L.K. Bennett heels. Elegant and classy - a sure-fire win for your wardrobe. Browse the collection of shoes online at Zalando UK for some seriously hot footwear! Die Schuhe sehen allesamt richtig toll aus, aber das zweite Paar ist für mich dann doch das Schönste.